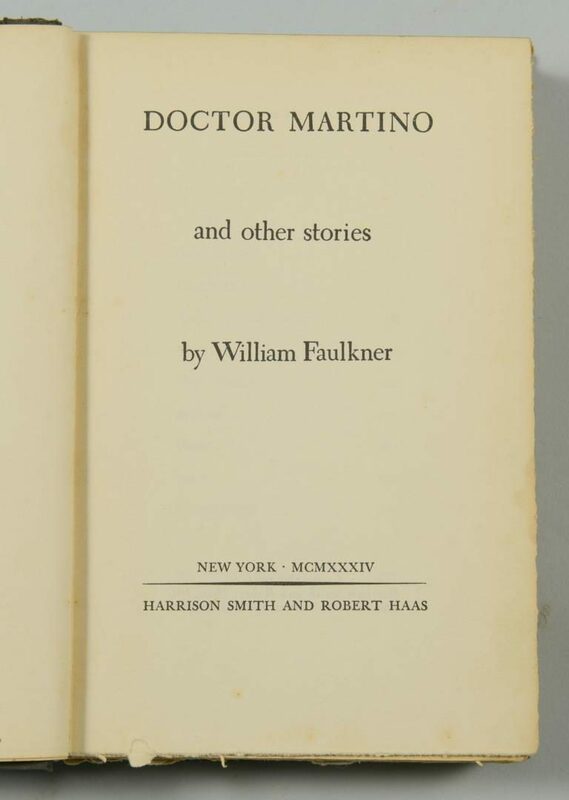 Lot 182: Signed William Faulkner Book , "Doctor Martino & Other Stories"
You are here: Home >> October 22, 2016 Fall Auction with Online & Absentee Bidding >> Lot 182: Signed William Faulkner Book , "Doctor Martino & Other Stories"
Signed special edition copy of the book "Doctor Martino and other Stories" by William Faulkner. 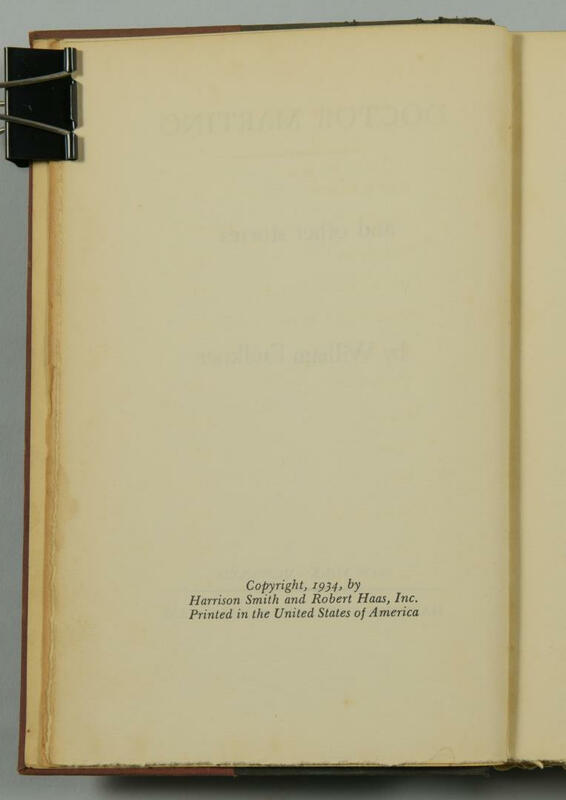 Published by Harrison Smith and Robert Haas, 1934, New York. 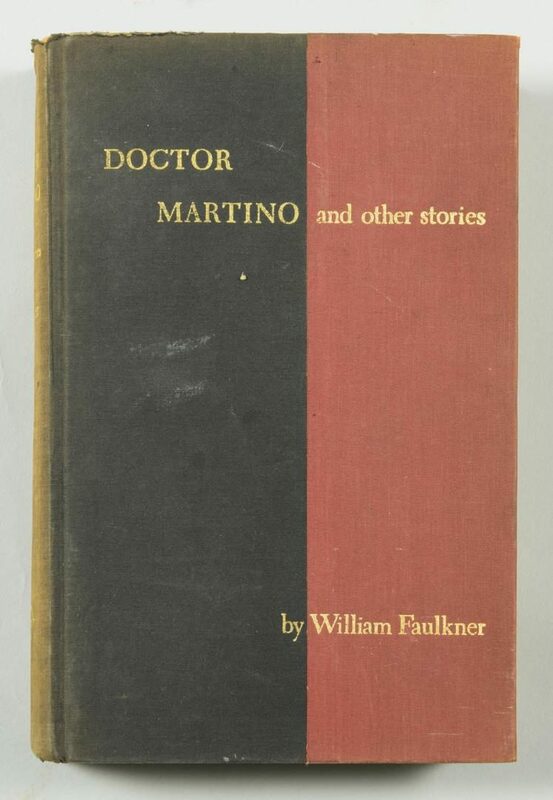 Hard cover black and red cloth, spine and front board lettered in gilt, top edge black. 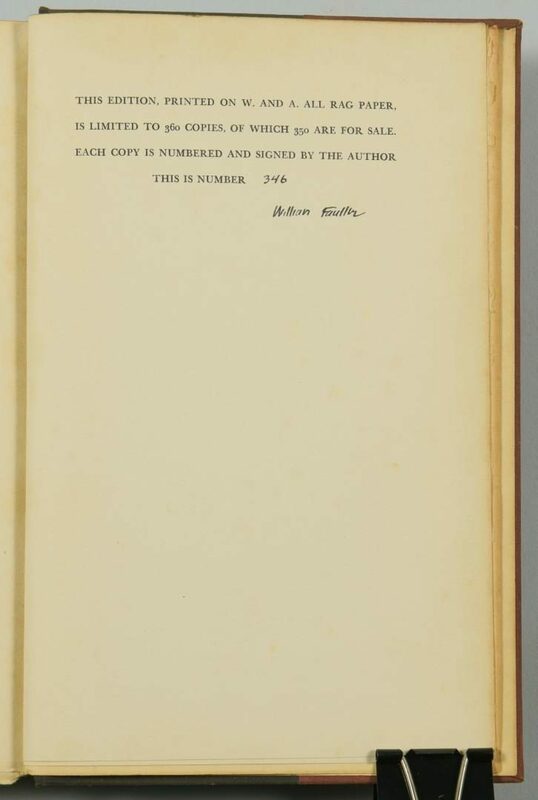 Signed and numbered in the back with inscription reading "This edition, printed and W. and A. 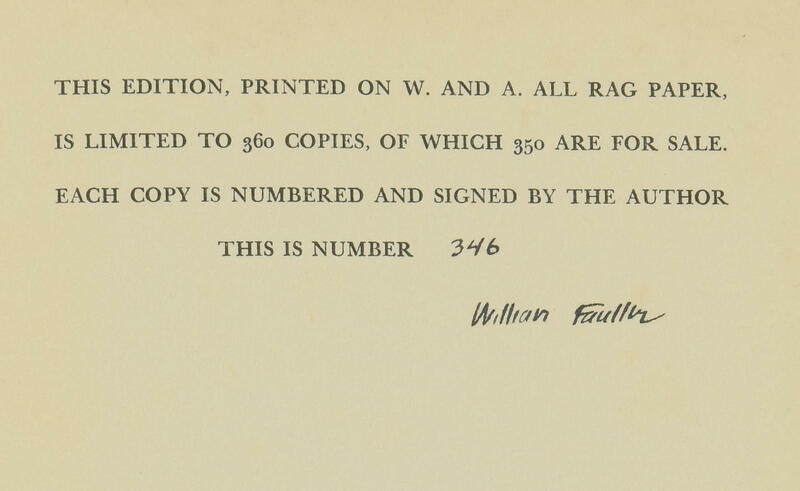 All rag paper is limited to 360 copies, of which 350 are for sale. Each copy is numbered and signed by the author. This is number 346.". Octavo. 8 3/8" H x 5 1/2" W x 1 1/2" D. CONDITION: Dust cover absent. General minor wear to cover, most noticeably to top edges. Sun fading to spine.